The TH profile bending machine represents the best solution for cold bending of any kind of profile on the market as well as pipes and tubes. 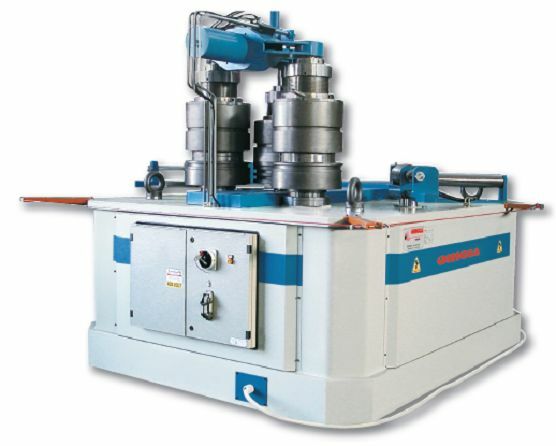 The TH models are designed to work in the vertical shaft axis orientation. They are suitable to bend profiles of medium and large size. The machine is equipped with 3 driven rolls in rotation, 2 of which are fixed and the third reciprocates in order to do the bending tack. This results in the best drag of the profile during bending. All the movements are hydraulic. 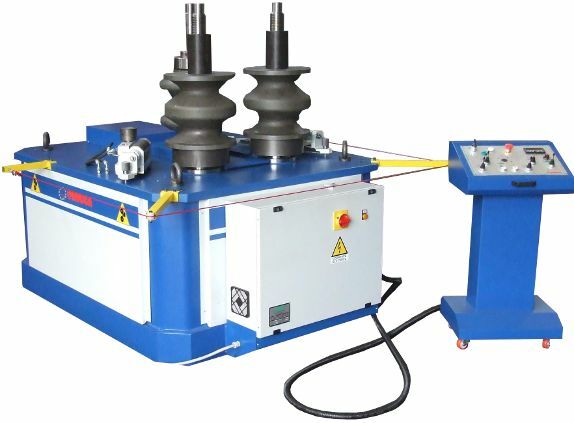 The TH profile bending machine is built from high strength steel plate precision cut and welded. It is stress relieved, sand blasted and CNC machined to exacting tolerances. All this care in manufacturing the machines results in their superior performance of producing accurate and close tolerance parts. 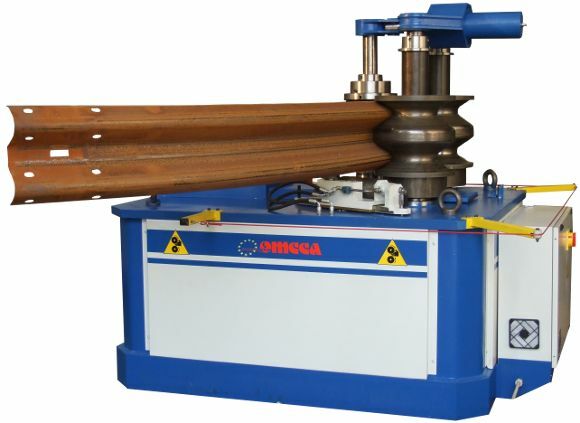 The constant research of innovative technical solutions, quality of materials used and wide range of accessories makes the OMCCA profile bending machines undoubtedly among the best on the market.